Going for something a little inspiring today for this Photo of the Week. Knowing that there is so much pressure to look ‘right’, to fit a stereotype or into a sample dress in a wholly unrealistic size, not just on your wedding day but on every damn day of the year, Nu Bride‘s approach to the wedding industry and promoting love, diversity and humanity in all its wonderful forms is so refreshing. “There is not a photo from Annie’s set that I do not absolutely love of myself. 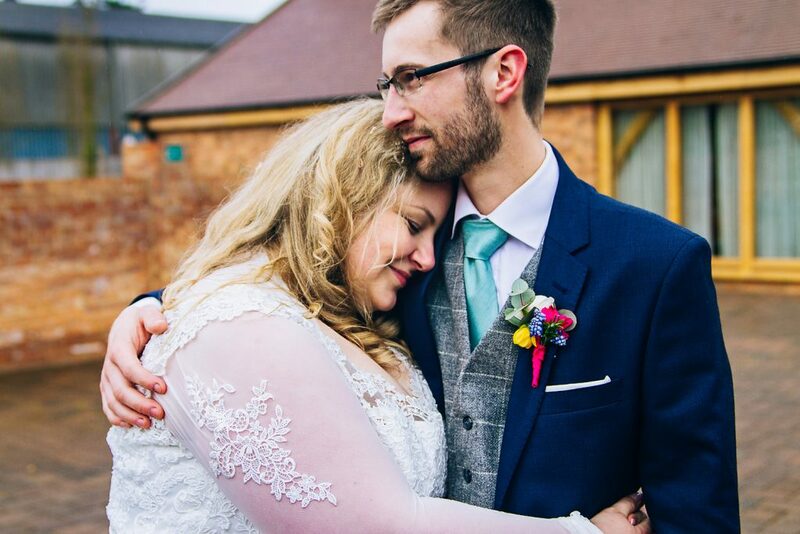 My large, comfy curves, Alex’s skinny frame and painful fancy shoes, and the knowledge that we were exactly who we were – no dieting, no targets of ‘perfection’ – we married each other for who we were in these beautiful, perfect moments. This brings me so much joy to read and share. That look of joy and happiness above. Their beautiful moment of pure togetherness and contentment below. That’s what matters. Love wins. Every. Single. Time.